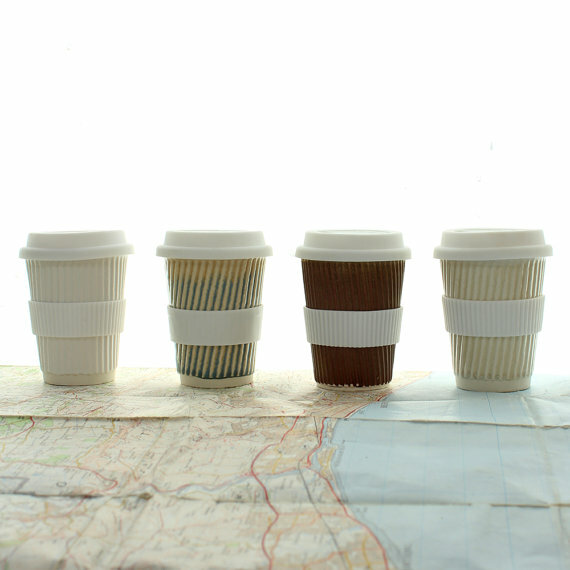 Coffee cups, like straws, grocery bags, and water bottles, creates hundreds of years of waste for a few minutes of ease. These cups are usually lined with plastic on the inside (yes, plastic that leeches with heat... so think about that). 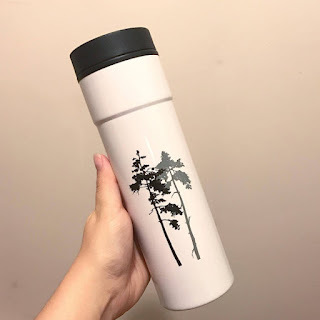 By switching over to a reusable cup, you may have one more thing to keep track of and clean, but you could save the world from so much waste. And, lots of coffee places now give discounts if you bring your own cup! 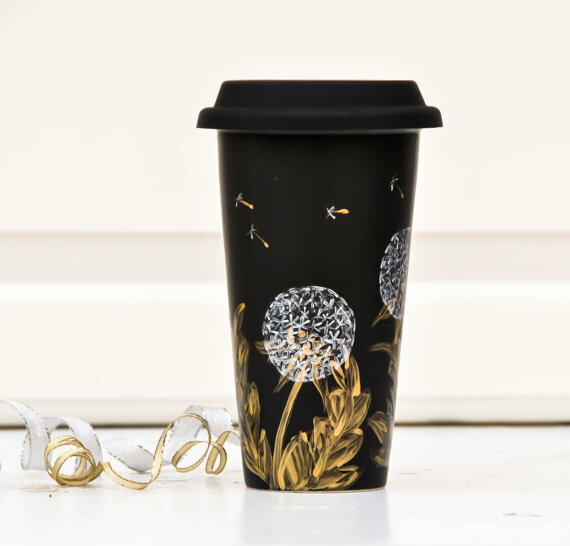 PictureinaDream (California) make ceramic to go cups with sweet and feminine paint jobs. Like ceramic? Check ChoChoArtware too. 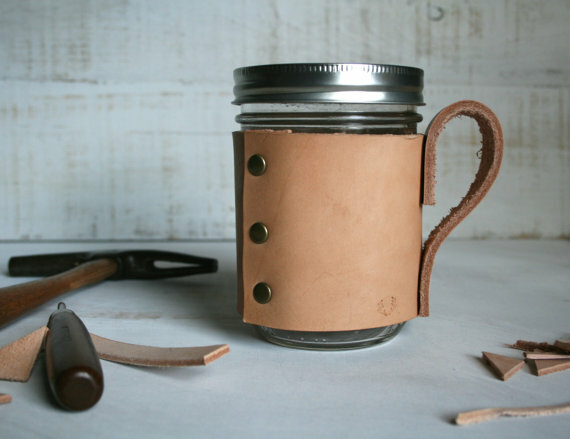 Lenny Mud (New Jersey) make tons of ceramic mugs with a handle and plastic lid. They have tons, like this cute Sharkweek mug as well. Grey Cricket Studio (New Hampshire) make gorgeous minimalist mugs I am not cool enough to carry. Check out Portland Leather too. 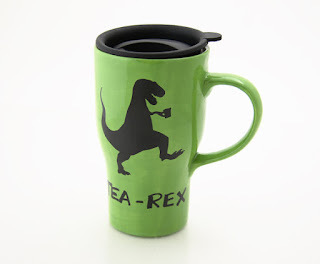 KandCStudios (Wisconsin) makes their mug out of stainless steel and plastic. I like that it is skinny and tall, to fit into a car cup holder if you are an on the run kind of person. 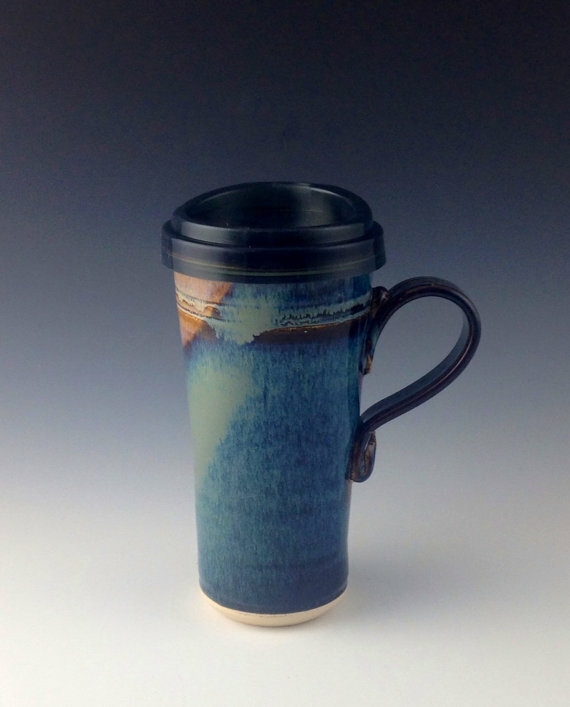 Bove Pottery (Ohio) make beautiful ceramic mugs. Check out Blue Room Pottery, 3 Points Artwork, and sarahwelchpottery for more handmade coffee mugs.